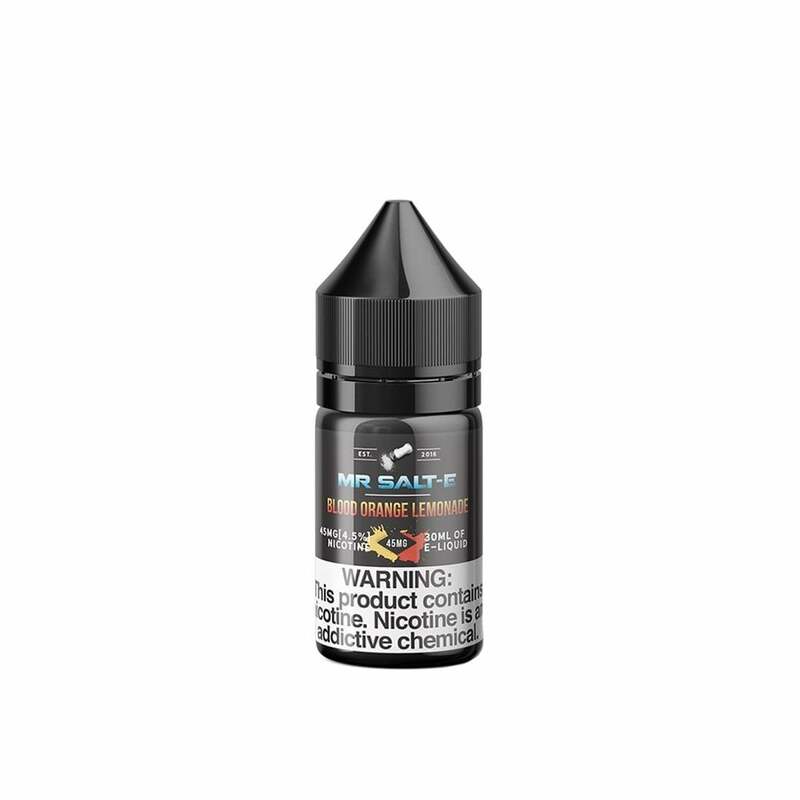 Mr. Salt-E Blood Orange Lemonade is a truly unique vape juice. Lemonade lovers will fall in love with this tangy twist on a classic; a sweet, slightly sharp lemonade flavor is infused with rich blood orange, tangerine and exotic pineapple. This is a drink-flavored vape with a difference: if you're a fan of more traditional lemonade vape juice, try Blood Orange Lemonade today! I did not like the flavor. In my opinion it does not taste like lemonade at all, it tastes like Lemon Zest / Rind. Not at all sweet or sour like i thought it would be, but bitter instead. I love fruit flavors, especially citrus. Didn't love it from the first try but it's really grown on me. Would but this one again. This one has a good flavor. I like that with so many different flavor you can still taste each of them individually. I'm a very picky flavor vaper. There are only 2 previous vape juices that I like out of hundreds, thousands. In fact, I have a friend who works next door to a vape store that gives him TONS of free vape juice in all flavors but I don't like any of them. I really like tropical, orange, melon, lemon flavors. This juice hit it out of the park. Very delicious! So happy I tried it. Tastes like orange sherbet. It is fairly good, other flavors are better. Almost no flavor to it. Actually pretty disappointed with this over all. After using for a while I like it more and more. Kind of a warm citrus lemonade flavor. It's a keeper. I did NOT like this flavor. I know it’s subjective, so for what it’s worth I like the blackberry and razzlemelon. I really hate the taste of this juice. Used it for two fills of a pod and won’t use it again. Pretty nasty.